King Canute has gone down in legend for sitting on the sea shore and ordering the tide to retreat. Today’s politicians have gone one step further by starting a battle with time itself, as the EU Parliament last week adopted a European Commission proposal that all countries in the union should end the practice of putting clocks forward by one hour in spring and back again in autumn. Once agreed by the European Council, it means countries will either have to choose to stay in permanent summer time or winter time. Whichever they choose, they won’t be allowed to change the clocks again after 2021. The arguments for and against the proposal are well rehearsed at this stage. Going on permanent summer time means more light in the evening, thereby reducing crime. Criminals love the dark. Figures also show that there are significantly more road accidents in the 24 hours following time shifts, as people’s sleep patterns are disrupted. Apparently, switching back and forth also causes more heart attacks, because “the effect on the human biorhythm may be more severe than previously thought”. That may be overstating the case. Evidence suggests that few people are bothered one way or another. 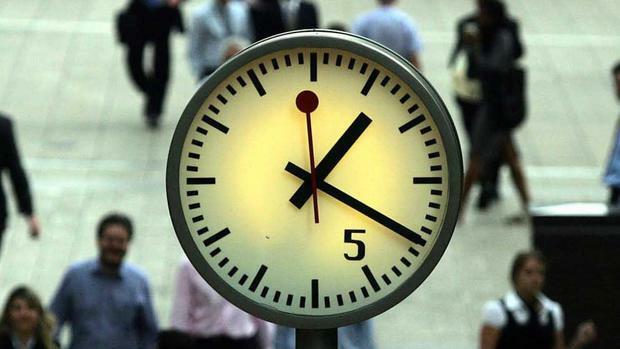 A Europe-wide consultation last year found that 84pc of respondents preferred to end the clock changes and stay on summertime all year round, but there weren’t that many responses at all, and 70pc of them came from Germany alone. Perhaps the lesson is that, whatever time zone they’re in, people cope. It’s just a question of thinking what you grow up with is normal. Everyone is used to the way things are. If it changes, they’ll get used to that too, but it’s not a burning issue by any stretch of the imagination. China only has one time zone, Beijing Time, despite being more than twice the size of continental Europe, which has three, meaning that in some parts of the country the sun doesn’t go down until midnight. That would seem bizarre to us, but presumably the Chinese are managing. Ireland poses a different problem. After 2021, this country may be unique in Europe in having two time zones in the same national territory, one in the Republic, another in the North. This has led to some predictable jokes about Northern Ireland already being hundreds of years behind the rest of the world anyway, so what difference would a few hours here and there make? Joking aside, it would be quite a radical change if Northern Ireland does keep the “spring forward, fall back” principle of adjusting the clocks while the Republic ends it. Clocks would symbolically become partitioned. The problem could be solved by the UK also giving up the habit of changing the clocks twice a year. Many people in Britain have called for such a change for decades. Again, there are arguments for and against. When the UK government of Labour Prime Minister Harold Wilson tried an experiment with “double summertime” in the 1970s, putting the clocks forward by two hours in spring instead of one, it meant that northern regions were dark until nearly midday. Scotland was not well pleased, let’s put it that way. Assuming that Britain keeps daylight saving time, it means, just when we thought we’d heard all the problems that the Irish Border can cause, it will suddenly become a dividing line between time zones as well. As always in Northern Ireland, these changes are bound to take on political significance. The Taoiseach has told the Dail he “couldn’t and wouldn’t countenance a situation where Northern Ireland is in a different time zone to the rest of Ireland”, though what he can actually do about it is unclear. Maybe he was just expressing his frustration at a potential state of affairs which nationalists and unionists alike have described as absurd. How can Newry and Dundalk be in different time zones when they’re just 21km apart? You can say that again. That’s why some people are already suggesting that Northern Ireland might get an opt out, allowing it to sync time with the Republic. But who would make that decision? In principle, the Northern Ireland Assembly could have a role in deciding what would happen, but that’s a deeply dysfunctional body, and there’s no sign that the compromises needed to get Stormont back up and running are anywhere close. There could be a referendum on the issue, but that poses a whole new set of problems. It would simply be a border poll by proxy. Nationalists would want to align with the Irish Republic, and unionists with the UK. The latter would argue that the bulk of trade is with the UK, so being in a different time zone to them doesn’t make much sense either, whilst nationalists would argue that it’s silly to have people living side-by-side in two time zones. Both are right, but reasoned arguments won’t come into it anyway. It will be another standoff between two visions of Northern Ireland. The question will not be: do you wish to continue with daylight saving time? It will be: are you a Fenian or a Prod? As such, it would be a sour taste of things to come in any real referendum on Irish unity. Even if Article 50 was to be revoked, and Brexit put on the long finger or cancelled altogether, that wouldn’t solve the problem either, because, were Britain to stay in the EU, it might simply refuse to change the time anyway, so the same problem would arise. The EU rules would say that they can’t, but what is Brussels going to do to countries that do it anyway? Kick them out of the EU for crimes against Time? Time zones have been a bone of contention for centuries. It’s unlikely that history will stop just because the EU says, Canute-like, that it must. Just one thing is certain. However this problem is eventually resolved, for God’s sake don’t insist on having a withdrawal agreement to cover any transition period, because we’ve all had a horrifying vision of where that leads.